In the United States, roughly 1 out of every 4 U.S. workers has reported they struggle with a sleep disorder. On top of that, over 40 million people say that they battle anxiety regularly. 70 million people have high blood pressure. These are all examples of conditions doctors constantly disagree on, especially when it comes to treatment. According to Dr. Andrew Weil, you can fix the listed health concerns with a simple breathing technique called the 4-7-8 trick. The theory is by forcing certain breathing techniques on the voluntary nervous system, you can positively boost the involuntary nervous system. People who practice this breathing technique comment that is feels like a mild sedative. The heart rate with slow down, the mind will quiet, and the body will relax. You can use this technique before any stress inducing activity, like stage fright before public speaking, to help calm the nerves. This 3-step process comes from ancient Indian teachings associated with yogic breathing. Studies show there is a relationship with over-stressed and anxious people, and people who are chronically under-breathing. In other words, they are taking short and shallow breaths or at times even holding their breath for long intervals without knowing. By exercising your lungs with the 4-7-8 breathing technique, you are teaching yourself to breathe in a way that is beneficial to your body. With shallow breathing, air can remain in the tissues of the lungs and become stale, keeping fresh oxygen from finding its way into the bloodstream. This affects sleep, stress levels, anxiety, food cravings, mental alertness, energy levels, and mood. If you use this technique twice a day, 4-8 breath cycles at a time, in as little as 8 weeks you can see drastic changes in your body as you start to reverse multiple health concerns associated with lack of sleep and high Stress levels. Step 1: Inhale for 4 seconds. This will allow the body to take in more oxygen. In yogic breathing, it is said if you gently press your tongue on the roof of your mouth behind your top teeth while inhaling, it increases the body’s energy circuit. Step 2: Hold your breath for 7 seconds. This step will help the oxygen into the bloodstream. This step is essential for cleansing and detoxifying the lungs. Step 3: Exhale for 8 seconds. Exhaling emits carbon dioxide from the lungs. Here you should gently force the breath out enough you will hear the air releasing. Dr. Andrew Weil offers a demonstration of this breathing technique on his website. Remember, this breathing trick can and often will be successful with helping someone sleep in minutes if you are having trouble sleeping due to nerves but normally sleep decently. 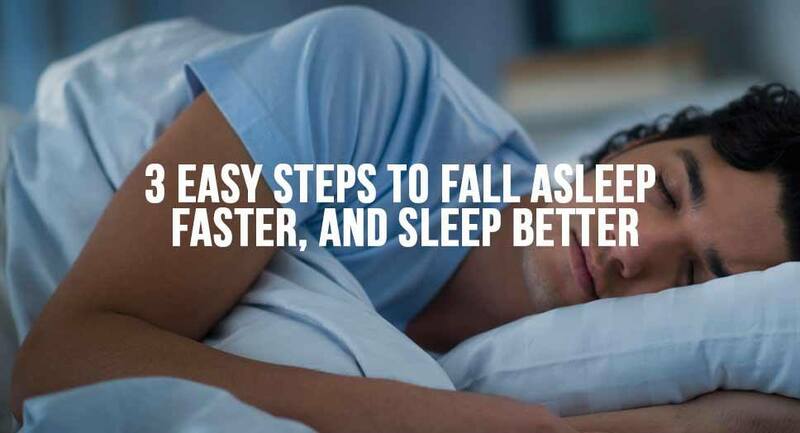 For people with chronic sleep problems, if the breathing trick doesn’t help the first time around, keep at it! As stated above, the regularity of this deep breathing can help the body with insomnia in time.